Fort Worth Weekly got the opportunity on Thursday to talk with longtime feminist leader Gloria Steinem about gender issues, equality, and women’s healthcare in Texas. Steinem, in her late 70s, is the guest speaker this week at Planned Parenthood’s annual fundraising luncheon in Fort Worth. She’s a co-founder of Ms. Magazine and a globally recognized expert and activist on women’s issues. 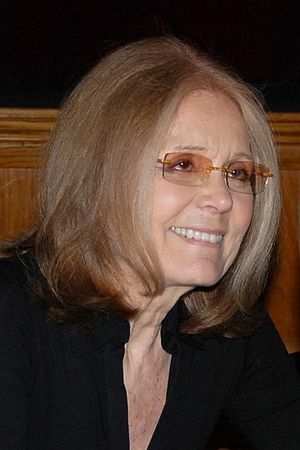 Steinem also co-founded Voters for Choice, a pro-choice political action committee. She’s been a longtime supporter of Planned Parenthood, which got kicked out of the new Texas Women’s Health Program (WHP) earlier this year because Texas lawmakers approved a measure banning any organization that provides abortions from taking part. Planned Parenthood clinics in the past have been the largest provider of medical care under that program, giving women in many parts of the state access they otherwise would not have had to cancer screenings, birth control. FWW: How does access or lack of access to healthcare affect equality for women? Lack of healthcare for women also has a deep affect on families, since women in most cases are the primary caregivers, she said. FWW: In what way does the new Women’s Health Program affect young girls? FWW: What is Planned Parenthood’s role in Texas’ healthcare program? Steinem: “All over the country, Planned Parenthood is the source of primary healthcare for women. It’s the reason why Planned Parenthood is one of the most trusted organizations in the country. And one in five women have turned to Planned Parenthood. … I don’t know any [other] state where the governor has been at war with Planned Parenthood.” She said that quality healthcare is less available in the United States than in most developed countries, which makes low-cost access to quality care even more important. According to Planned Parenthood of Greater Texas, its clinics charge women around $100 for a well woman exam, excluding lab fees. That same exam from a private doctor’s office costs around $300.